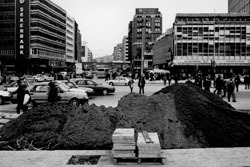 Under Construction was developed in three parts as a long-term artistic research project concentrating on the visual typology of the state of never-ending construction projects around the world. 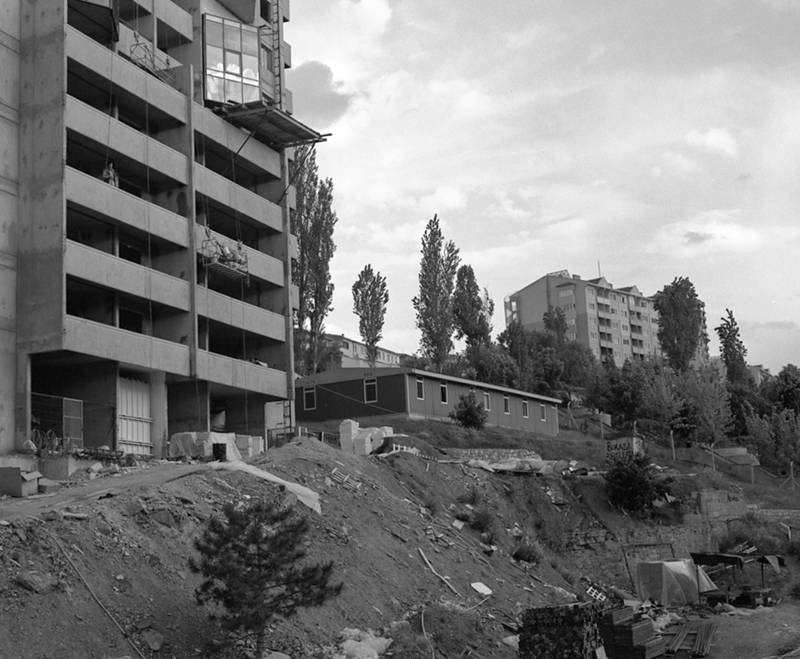 The project started in Ankara—the capital of Turkey—and continued in other cities. For the Turkish context, specifically after the 1980s, the construction industry became the fundamental driving force for the economy, employing millions of people. During the era of unchecked neoliberal urban development, the idea of demolishing the old and building the new became the de-facto reality. Large-scale gentrification projects were undertaken at an unprecedented speed. I was trained as a civil engineer, and consequently developed a particular interest in the idea of spaces which are under construction, which reveal spatial dynamics in their bare form. 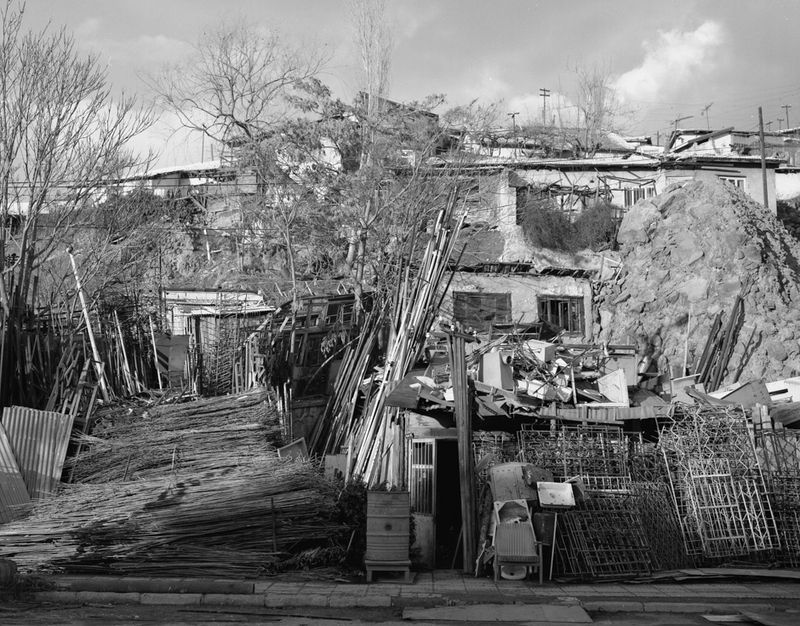 I started the project by simply looking into the everyday life of citizens. 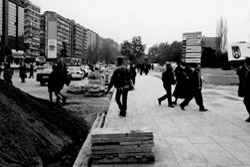 I chose the construction of sidewalks and pavement as a starting point. These ongoing construction projects transformed the city center effectively destroying the urban fabric. 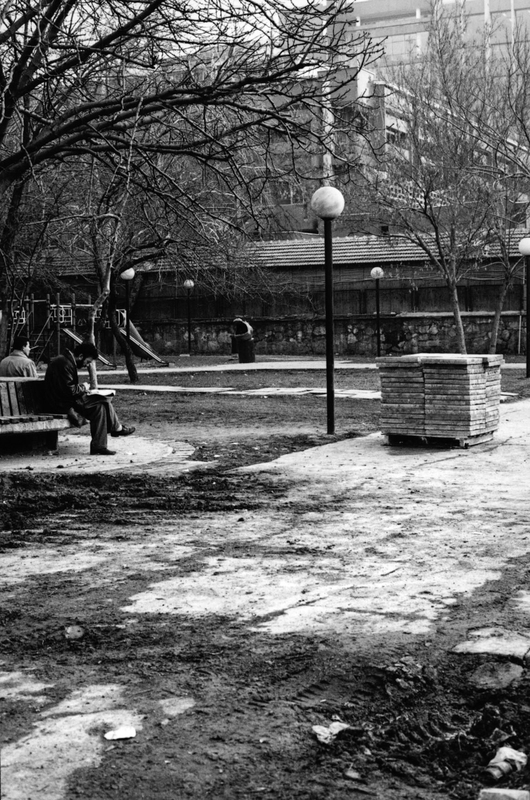 During renovation projects, the central public park in the city was transformed into a kind of pavilion and staging ground for both construction companies and the police, usually separated by police construction tape or dividers—a curious similarity. 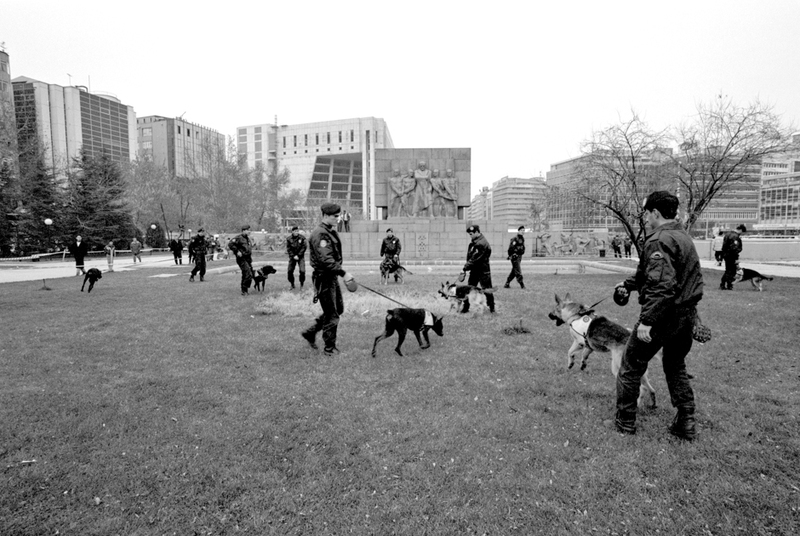 The show of force by the police usually took place in that park. Police dogs were displayed regularly. In the late 1990s, as the markets opened up to global capital, the Turkish version of “Societé du Spectacle” went under heavy construction! 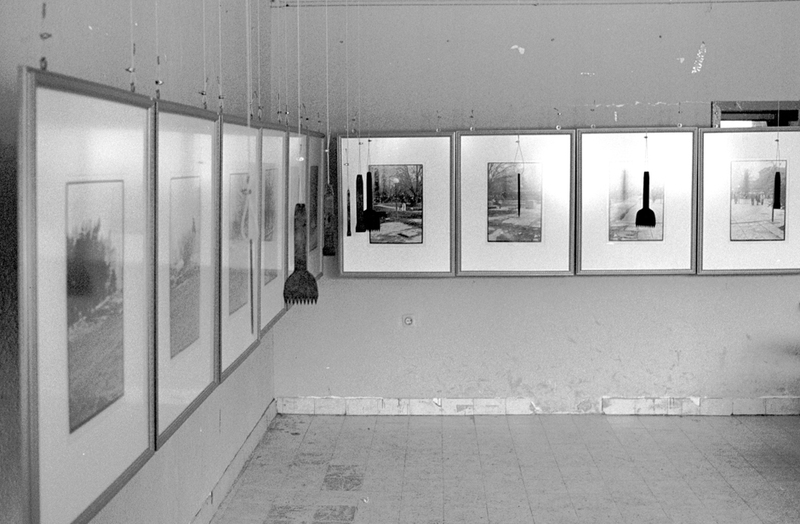 Within this context, I developed a series of panoramic photo works. 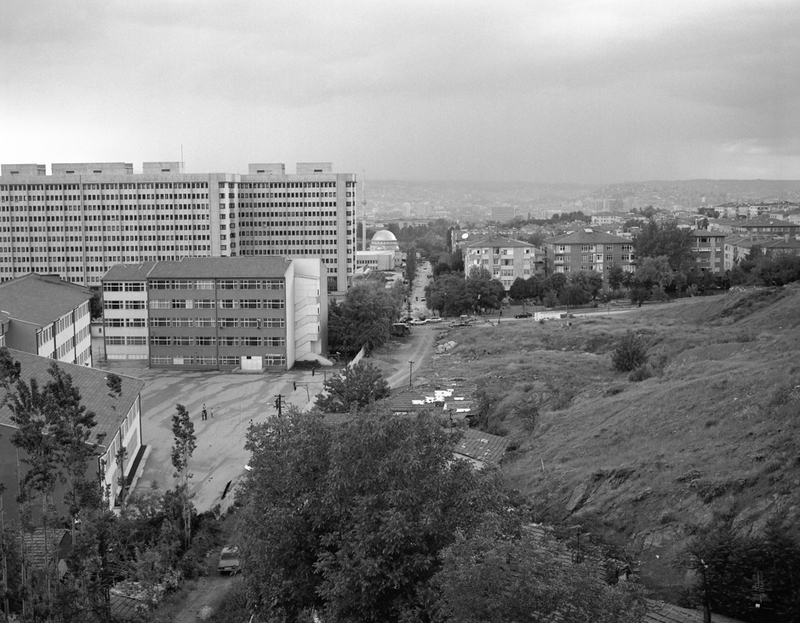 I studied the organization of space in the city through Güven Park and stone pavements. 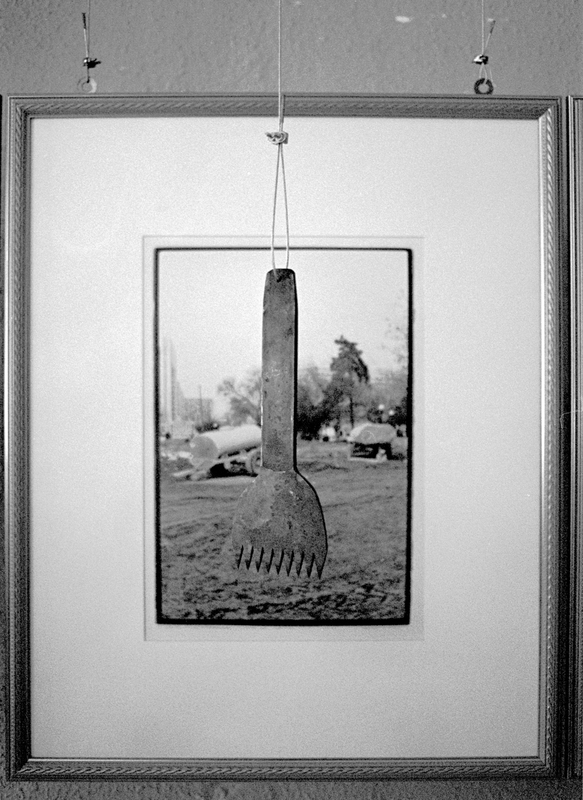 The tools needed for stone masonry were presented to the audience within the content of the work, in front of the photographs. 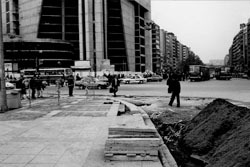 In addition, new monumental constructions in Ankara, including the cultural center, police department, schools, trade center and condo buildings were photographed. The changing city texture, the tensions, and the breaks within development sites were highlighted. Within this context, buildings were chosen and photographed from similar distances and angles. 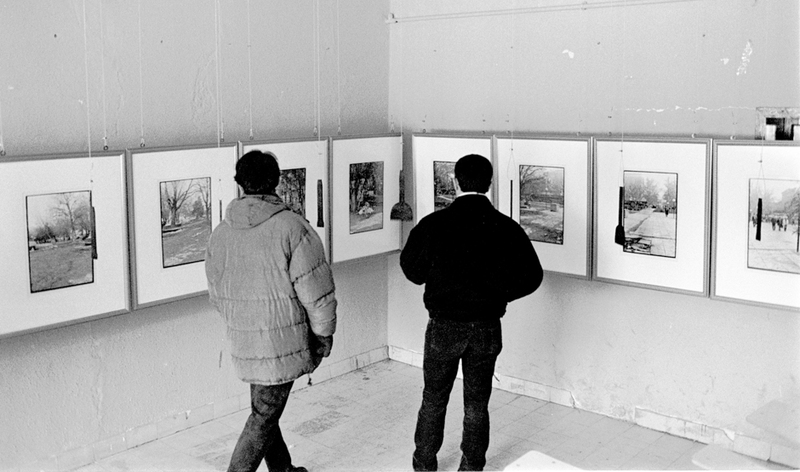 The prints were 40x50cm, black and white and presented in 50x70cm frames. The basic concern in such a work is how the construction condition in the country leads to continuous expectation for the new, a hysterical desire to destroy, rebuild and renovate. 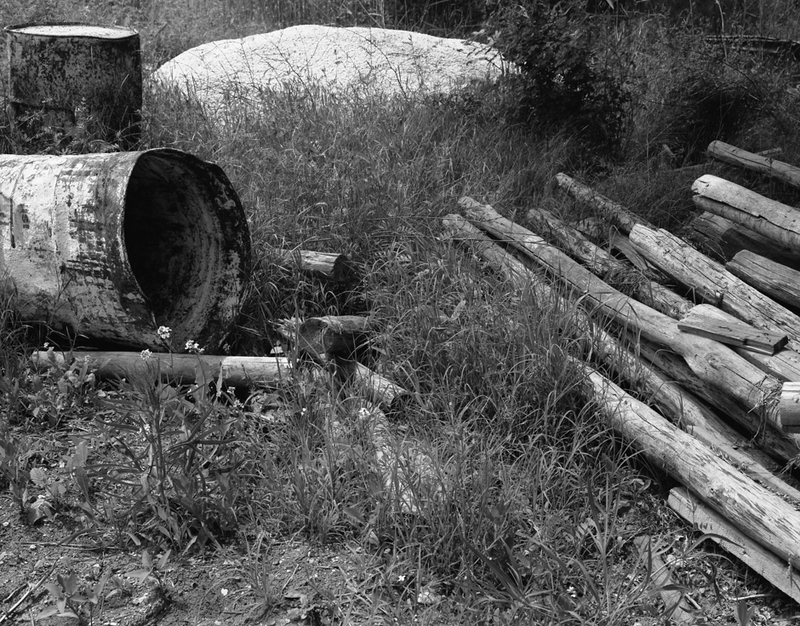 “Newness” (yenidenlik) is a vicious circle with no way out as the whole economy rests on a constant state of building. Ankara is only 70 years old, therefore constructing the “new” when everything is already new seems to be a conflict. However, since the construction quality is so bad, anything new in country is worn out the same time it is constructed. The city looks old. For the construction of new buildings the workmen are waiting, the architects are waiting, the engineers are waiting. All of us, with our institutions and organizations are at the service of The Turkish Construction Sector.